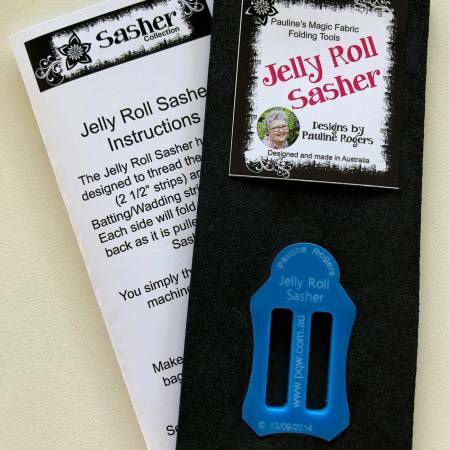 Fold Jelly rolls with batting/wadding quickly and easily with this nifty tool. 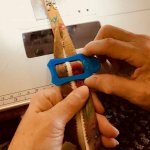 No need to iron the strips - just feed the layered strips into the Sasher in your lap and then feed the folded strips directly to your sewing machine for stitching. Great tool for use with the Jelly Roll Rug, bags, bowls etc.